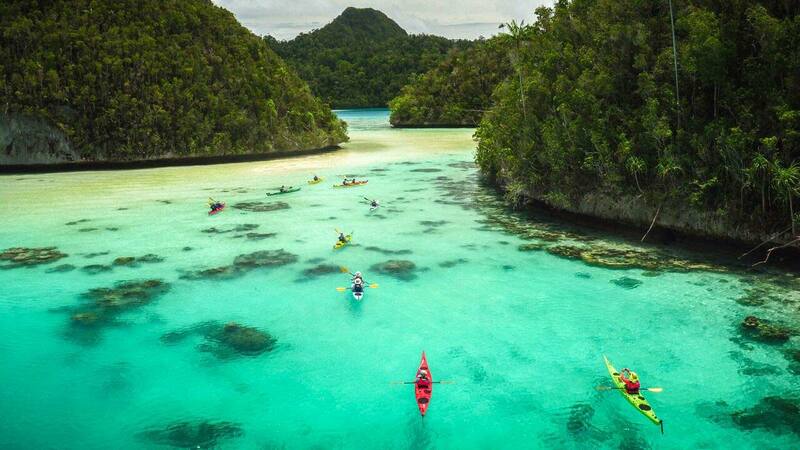 When fourteen Australian kayakers approached us wanting a voyage of adventure into the unknowns of Raja Ampat, all we could do was smile with excitement and begin searching for a place we had not been, a place where no one had kayaked. We looked for a place of great beauty, wildness, and secret- hard to find places. We found a place that promised all of the above and in the end, was more than . . .